Area golfers can enjoy golf, fun and holiday cheer at the 26th annual Santa’s Open golf tournament to benefit Big Brothers Big Sisters of the Eastern Shore on Saturday, Dec. 1 at Ocean Pines Golf Club. The day will include golf as well as Mrs. Claus’ Breakfast, Santa’s Cheer Cart, Rudolph’s Reception and contests. Registration will begin at 9 a.m. and the tournament will begin at 10 a.m. with a shotgun start. A reception and awards will follow at 3 p.m. The fee per golfer is $75 if registration is received by Nov. 26 or $85 at the door. The fee includes 18 holes of golf, breakfast, golfer gift and post-tournament reception. Each golfer is also asked to bring a new, unwrapped gift for a child ages 7-17. 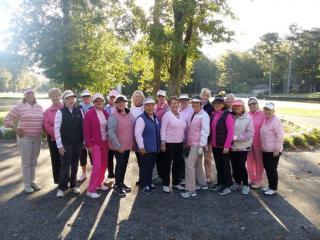 The Ocean Pines Ladies Golf Association held its annual "Pink Lady Day" on Tuesday, October 23. All proceeds collected go to the Atlantic General Hospital Foundation for area women who cannot afford mammograms. The Ocean Pines Men's Golf Association also participated on its golf day by wearing pink and making monetary donations. The OPLGA raised $1,046 and the OPMGA raised $607 for a total of $1,653. For the ladies' event, each team golfed with a pink ball and returned it to the Golf Shop at the end of the round. The team with the lowest score for the pink ball won. The first-place winners were Deb Schwertner, Natalie Fenwick and Ginger Burke. Carolyn Neal, Helen Smith and Ann Shockley won second place. The OPLGA will end its season on Tuesday, October 30 with golf and a year-end meeting. 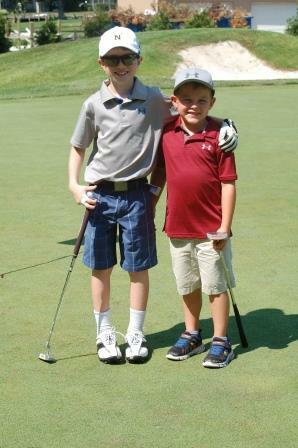 Boys and girls ages 5-13 are invited to Ocean Pines Golf Club for an afternoon of fun competition at the course’s annual junior golf tournament on Tuesday, Aug. 14 beginning at 1 p.m. The event is open to the public. Players will be grouped according to age and/or ability. Male and female divisions will also be created if sufficient registrations are received. All skill levels are welcome. “This event offers kids a chance to experience a tournament atmosphere without a lot of pressure. 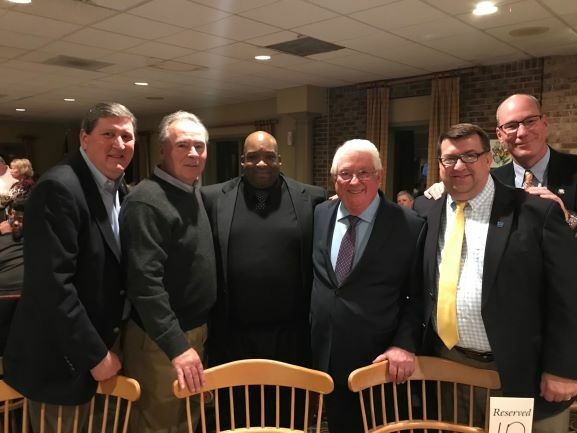 We encourage them to have fun and to display good sportsmanship,” said Ocean Pines PGA Director of Golf John Malinowski. Ages 5-8 will play three holes, ages 9-11 will play six holes and ages 12-13 will play nine holes. Tournament participants will be required to walk, although push carts are allowed. Parents may follow along on the course; a golf cart fee will apply for those parents wishing to ride. The cost to participate is $15 per person, which includes greens fees, snacks and prizes. 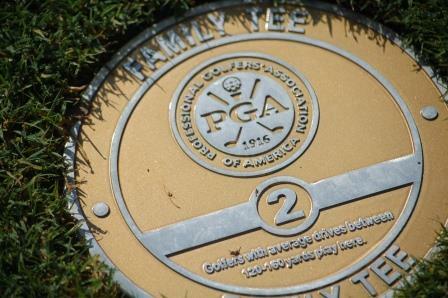 Ocean Pines Golf Club’s new family tees have recently received an upgrade with plaques signifying the course’s affiliation with the PGA of America’s Family Course program. The tees, which were installed last fall, are now marked with plaques that appear in the fairway and on the cart path of each hole on the course. Designed to make golf accessible to more players, the Family Course program offers an alternative for juniors, those new to the sport and anyone interested in playing a shorter course. The family tees at Ocean Pines Golf Club range in distance from 65-250 yards per hole for the shorter set and 85-300 yards for the slightly longer set. The course scorecard now includes the yardages for the family tees as well as for the five other tees available.